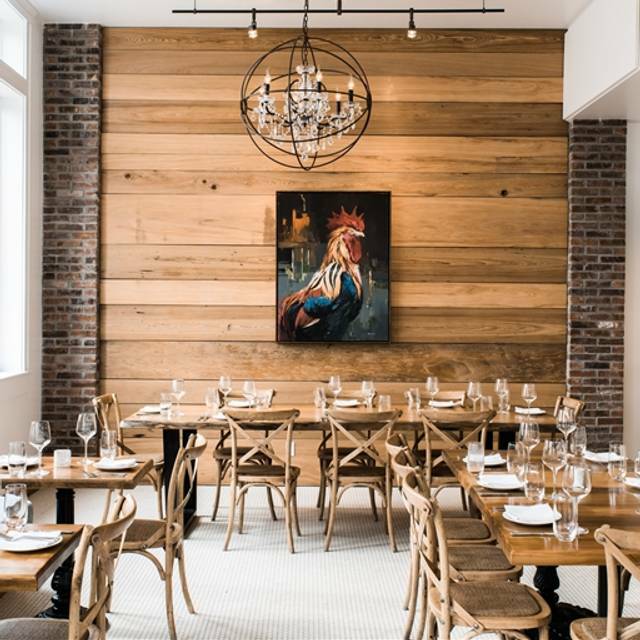 Named after the Historic Covington, Louisiana Ox-lots, Oxlot 9 is an upscale southern bistro located on the ground floor of the Southern Hotel. 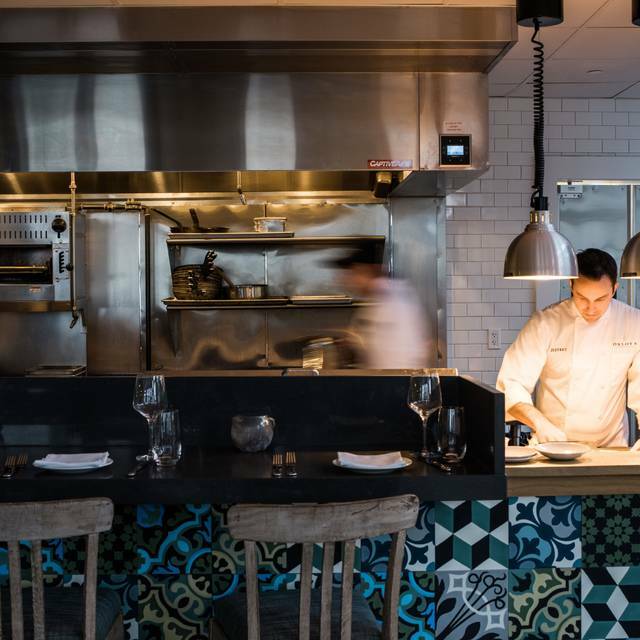 Oxlot 9 has a simple yet sophisticated approach to seasonal ingredients found in the region served in a lively and comfortable setting. It is a place that reflects the character of a 200 year old city in every detail of its soul, from the welcome of the hostess to the last drink brought to the table by your server. 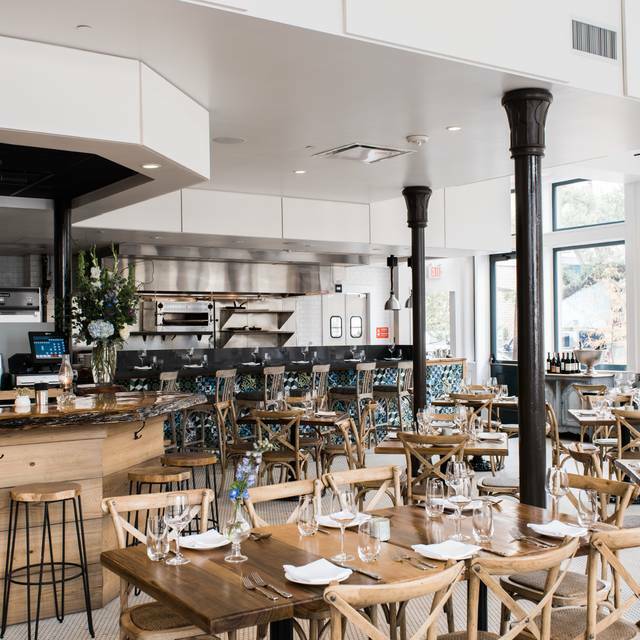 It is a restaurant inspired by the beauty of the people, the gulf coast, and the heritage of the South. Great service. Love the food. Always a wonderful experience! No one told us this was Taste of Covington. Made reservations for 6 and nothing was served so we left at 7:11. Ruined our 25th wedding anniversary dinner. Thank you for this horrible night. We will never forget you!!!!!! The crab cakes are amazing! The cocktails are great too! Service was excellent! My only complaint is that it is a little too loud in the dining area. Absolutely wonderful experience. Excellent food, attentive and expert service, great cocktails. One of the best restaurants we've eaten at in a very long time. We'll definitely be back. We almost left when blasted by noise level but I m glad we stayed. The bad penny band was excellent although most diners probably couldn’t hear them. Good and cocktails were excellent and the staff super friendly. 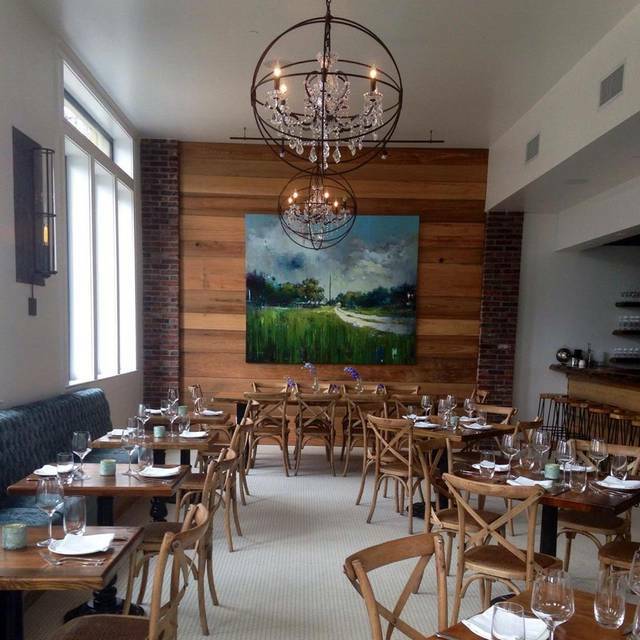 Great food, nice to have a family friendly upscale restaurant! We brought our 18 month old twins for brunch and they were so accommodating and the babies just loved it. We thoroughly enjoyed our dinner at Oxlot 9. The only complaint I have is the acoustics are terrible. It's impossible to have a conversation because noise level is so loud when restaurant is full. Nothing to absorb noise - nothing but hard surfaces. Improving acoustics would make it a perfect dining experience. 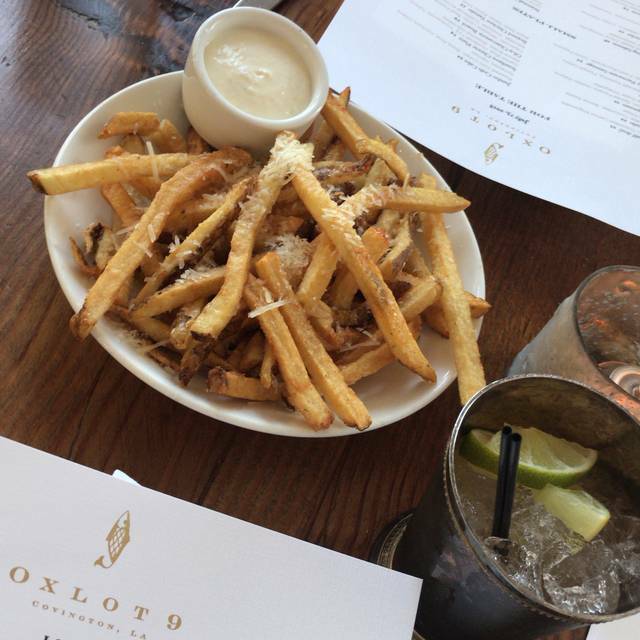 Oxlot 9 has become our favorite restaurant on the Northshore. We ordered an appetizer and several small plates to share because we couldn’t decide. Everything was delicious and plated beautifully. Our waiter was friendly and provided excellent service. Great place for a special night out. Absolutely delicious and incredible service. Brought our daughter-in-law for her birthday and everyone enjoyed it so much. Simply awesome! Service, drinks and the food were fantastic. I love going to Oxlot. This time, I took my friends who have never been to Covington. They were completely impressed with the food and the overall experience. I was so happy I chose Oxlot and can't wait to come back again (and again)! An almost perfect place to spend with my amazing date on a special day. Excellent drinks, outstanding and appropriate service, food that created memories... thank you! Wonderful. Ambiance, service, food, everything was great. Will definitely be returning! Our server, Jo, gets a special shout out. She was fantastic, had great recommendations and had a great sense of humor and professionalism! The rabbit was OK. The value was not there. 3 glasses of wine, 2 apps & split an entree and it totaled $150. Loved the ambiance & service was outstanding. 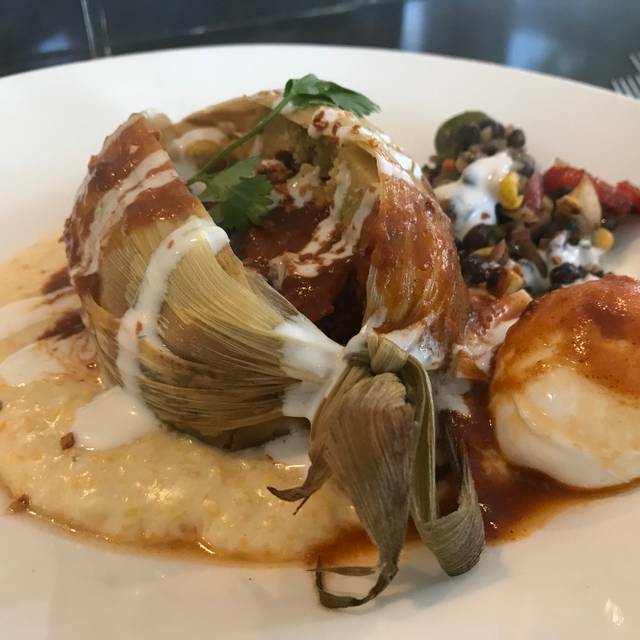 I really want downtown Covington to succeed, love the look of the Southern Hotel however the value and OK food will not have me back at Oxlot 9 any time soon. It was a lovely restaurant with very good food and very informative and helpful staff . Patrick was very knowledgeable about the menu. The main problem is the loud noise level. They need to invest some money in ceiling tiles or something on the ceiling to soften the noise level. We could hardly hear the waiter, talk to each other, or communicate . A table of eight girls were next to us. As the place became crowded, every one got louder and louder in order to be heard. If this problem is addressed, I would recommend the LA. oysters which were lightly fried and paired with brussel sprouts which was delicious. We also had the fish tacos and crab cakes which were great with a light mixture of crab, egg, lettuce and biscuit. I would have these again. People raved about the fried frog legs. Great meal as always. Everything on the menu is reliably delicious with drinks and service to match. Can’t go wrong enjoying a fantastic meal here. The menu is authentic and unique. 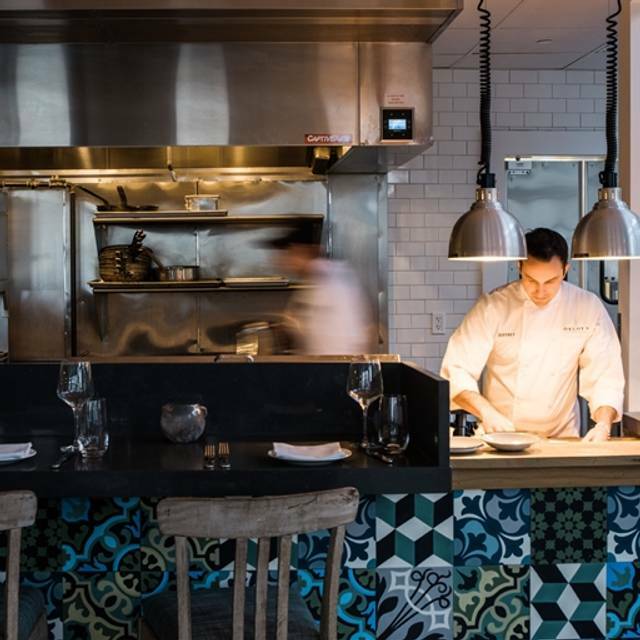 The chef and staff take time to prepare a unique menu if items each day. The wait staff pays great attention to detail and caters to the customers. Its everything customer service and fine dining should be! I'll definitely return repeatedly. We weren’t seated until almost an hour after our reservation, but the hotel bar kept us entertained and is just a short walk down the hall. This was Valentines weekend, so this was kind of expected. The food and service more than made up for it though. The only issue we had with the food was we felt there should have been 4 scallops instead of 3, but like I said above, the amount of food that came in the seafood bucket more than made up for it. Cory was our waiter and was very knowledgeable and attentive to our needs. We spent a lot ate, but a lot too. Best tamale we’ve ever had and the sauce was perfect with the filet. Highly recommend for special date nights. Ox Lot 9 was such a great experience. The food was amazing! Such a unique and diverse menu. I would definitely recommend this establishment, to anyone who wants a great dining experience in Covington! Can’t not say anything but good things about Ox Lot 9! Amazing service and incredible food!! We had a really great night! Thank you!! Great staff and great apps! We LOVE OxLot 9!! We frequently dine here. Brunch is always delicious. I had the crab cake last Sunday and it was delicious. Great little two piece band , we enjoy them, too. Our favorite time there is dinner, always delicious and the menu is always changing, which keeps it always great. They also make a strawberry gelato when in season that is so refreshing. The staff and chefs are always top notch and friendly. Looking forward to having dinner soon. Chef Collin and Chef Stevie always make our experiences there AMAZING! Thank you so much to you both! Excellent food as always. It’s hard to find a team that consistently puts out food as well as Ox Lot 9. Absolutely perfect meal. Food and service were fantastic. Highly recommend making a meal out of shared appetizers and small plates. Always save room for the campfire dessert. We'll definitely be back. Best short ribs ! Beet cocktail was perfectly delicious ! Loved every bit of my Oxlot experience. I would go again and again! From start to finish, the experience was exceptional. I want the Amberjack again right now! The service was great. The food and wine were fabulous. The ONLY drawback was the noise, very loud. Not loud enough to spoil a wonderful night! We will definitely return! We ate on a Tuesday night, so the restaurant was not crowded; therefore, not noisy. The four of us chose to order several small plate instead of the larger entrée portions. Each on was phenomenally prepared. Seared scallops, oyster patty, lobster ravioli, gnocchi with beets and crawfish. A great deal of attention to detail was evident from preparation to consumption. Service was professional and attentive. Cocktails and wine were interesting and creative. Would highly recommend to anyone looking for a special restaurant to celebrate any occasion. Oxlot's wonderfully prepared, interesting and ever changing menu never disappoints! Brunch was wonderful as usual and the service is top notch! Such a lovely way to spend an afternoon (or evening)!! 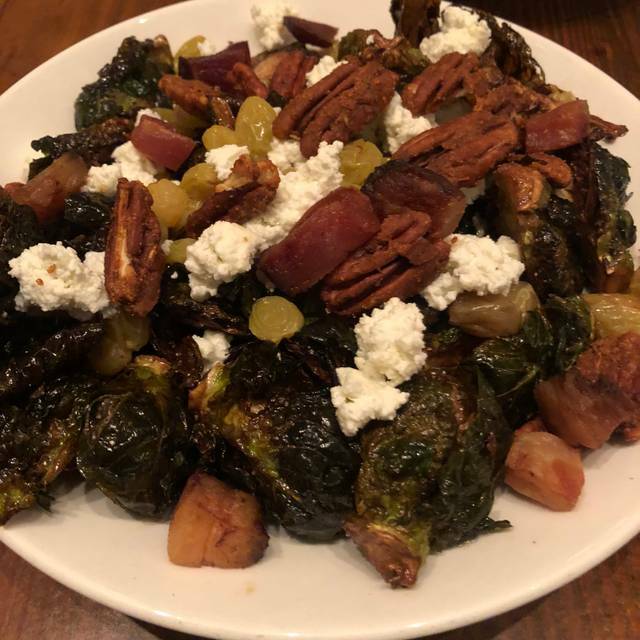 We were able to get spur-of-the-moment reservations after a long day of working/cleaning around the house and to our delight, we enjoyed one of the best meals in recent memory! 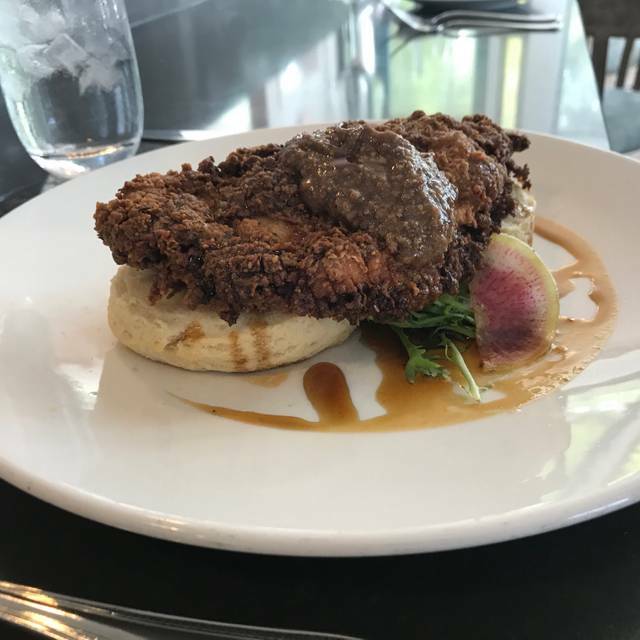 From the frog legs, to the fried stuffed rabbit, our server’s recommendations were on point. We had great wine and topped the meal of with the campfire dessert. We will definitely be back! great service. good food and drink! Ample glasses of wine and champange..the only thing we did not like was the desert which was just not our thing. we ordered the campfire and it was too infused with smoke..It overpowered the chocolate.. but other than that it was excellent meal..
Service for the price of food, not good. Food was just barely mediocre, service too. The little seemingly 12 year old bus girls, and hostess....the worst, rolling their eyes, rude and impatient, we felt rushed the entire time. I would not recommend it after this visit. And I’m not a whiny complaining type of person. Usually I don’t even write reviews. They need a new staff . The young generation they have now, are terrible, rude, snotty entitled and worthless. They will be waiting or busing tables forever if they are lucky based on their attitudes. Another amazing visit. Inventive and creative menu flawlessly executed. Our server Nick only added to the experience. This is at present the best restaurant on the Northshore. It is not to be missed.